We have installed MATRIX COSEC solution for our Time-Attendance and Access Control needs from M/s. The Advanced Communication Systems & Sevices, Hyderabad. We are happy with the functions, features, reliability and overall performance of the solution. We are using MATRIX COSEC solution since last six months. We are extremely happy with the functions, features and reliability of the solution. 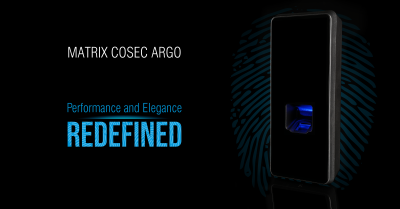 We would gladly recommend MATRIX COSEC solution to any prospective user. We are using MATRIX COSEC solution since last twelve months. The performance of MATRIX COSEC solution is flawless and we recommend it to others due to its rich functionality and prompt service support rendered by M/s The Advanced Communication Systems & Services, Hyderabad. We have installed MATRIX COSEC solution supplied by Team Telesystems. The reliability and overall performance of the solution is unique and the services offered are commendable.